It was a Wednesday morning and our first official rainy day in Tokyo. We stepped in puddles of rain and tightly held onto our umbrellas in the wind as we rushed to Jimbocho station to catch the subway to Yokohama. We were running a few minutes behind schedule and as I powerwalked down the stairs, I thought about the possibility of the train being just a few minutes late. Right then, Chad goes on to tell us that, “Subways in Japan will either be early or right on time, but rarely late.” I thought to myself: yet another element emphasizing Japan’s detail-oriented culture. Luckily, after a number of train stops and transfers, we made it just in time and met up with Professor Katada to head off to the Japanese Overseas Emigration Museum. 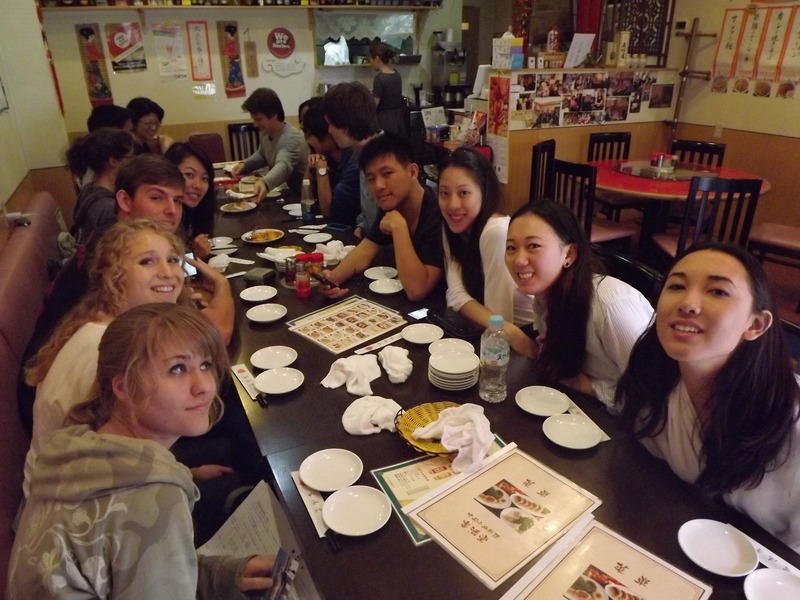 As lunchtime approached, the group couldn’t help but feel hungry and restless from the gloomy weather. After gathering up once more, we were all excited and ready for the delicious lunch waiting for us in Chinatown. 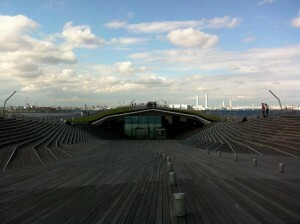 Before nearing Chinatown, an architecture student in our group jumped in excitement after seeing the Yokohama International Port Terminal, a famous architectural construction she studied in class. The amazing terminal reminded me of my Yamanaka presentation on the harmony between old and new. Although I didn’t visit the interior of the terminal, it was quite a view. The unique structure of the terminal looked almost like an origami design appearing as a new kind of contemporary and iconic architecture in Japan. As we neared the restaurant I was ready to expect the familiar Chinatown setting back in Los Angeles. However, the sea of brightly colored Chinese posters and ornaments and adorable panda goodies immediately caught my attention. Many of the Chinese traditional arts and crafts can be found alongside the streets and I noticed a number of fortune-telling and palm-reading shops. We were all ready to head straight to the restaurant, but at the same time distracted by all the fascinating attractions such as gift/food shops. For example, the first thing I noticed was a store entrance shaped like a giant panda’s head. 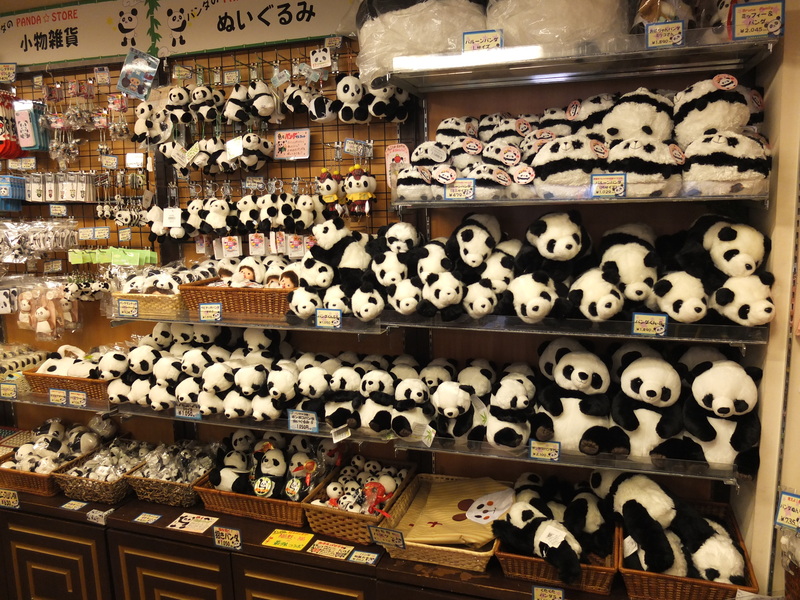 You can see the Japanese-styled creativity of cute and imaginative designs within the clothing and products of the souvenir shops in Chinatown such as panda shaped Chinese buns! 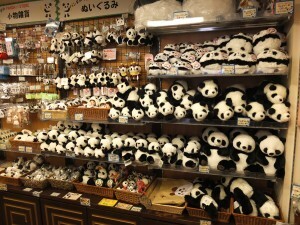 Souvenir Shops Filled with Panda Goodies! The next thing I saw was the Mazu temple. It was beautifully ornamented; the decorations on the gate, walls, and pillars truly showed how much effort and attention to detail were used when it was created. Aside from the fascinating sights, of course, is the delicious food. 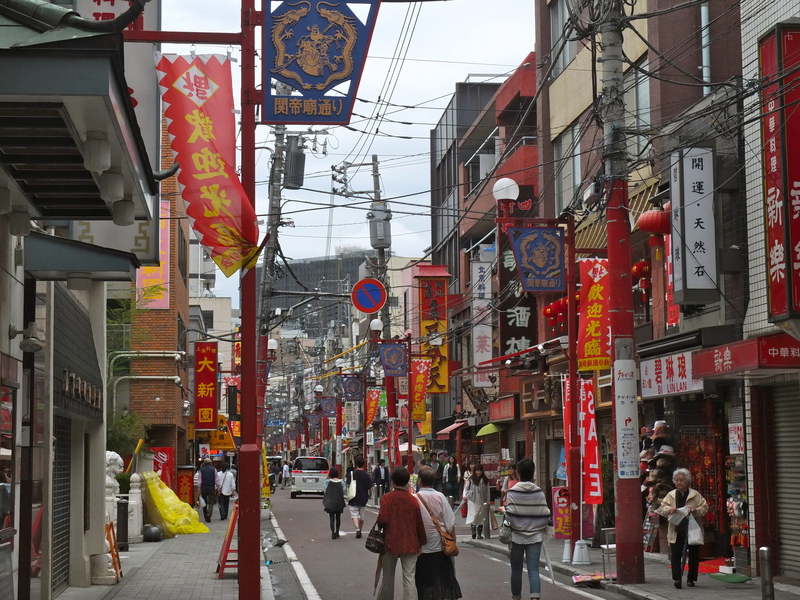 Yokohama Chinatown offers hundreds of different restaurants with countless varieties of Chinese dumplings, dim sum, pastries and much more. Chad recommended one of the most popular menu items called buta-man (Chinese buns filled with tender pork; or Baozi in Chinese). The variety of food displayed all looked so delicious that even I, someone who sees these Chinese foods regularly, was intrigued. If I was not so full from the lunch, I would’ve walked along the street and bought anything that looked yummy. 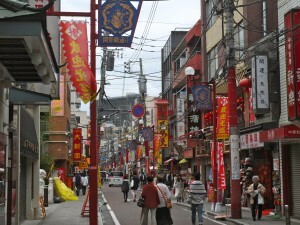 Next time, I am definitely coming back to explore more of Yokohama Chinatown’s souvenir shops, along with an appetite for more tasty food!